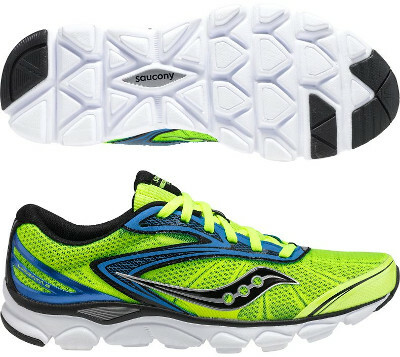 Saucony Virrata 2 are neutral performance running shoes. The Saucony Virrata 2 belongs to the Natural Running collection from the american brand and it is the outcome of the barefoot bubble in the early 2010s: simpler and lighter running shoes with lower drop but well cushioned. Current second version features not many changes from its predecessor Virrata and they mainly focus on an upper which now fits better thanks to a more rigid heel counter and a redesigned lacing system. The Virrata 2 feels close to the ground and there is no height difference between heel and forefoot (zero drop) providing great response and encouraging runners to land on well cushioned forefoot thanks to EVA+ midsole. XT-Carbon as outsole material gives enough traction even on dirt roads. Although available on several colors, they are far away from being conventional ones.